I would love a kitty, but sadly I have a dog that doesn't understand why cats are any different than squirrels. Also my husband is allergic to cats (or so he claims.) All this to say, I don't really have any use for this scratching post, but I thought it was pretty clever. 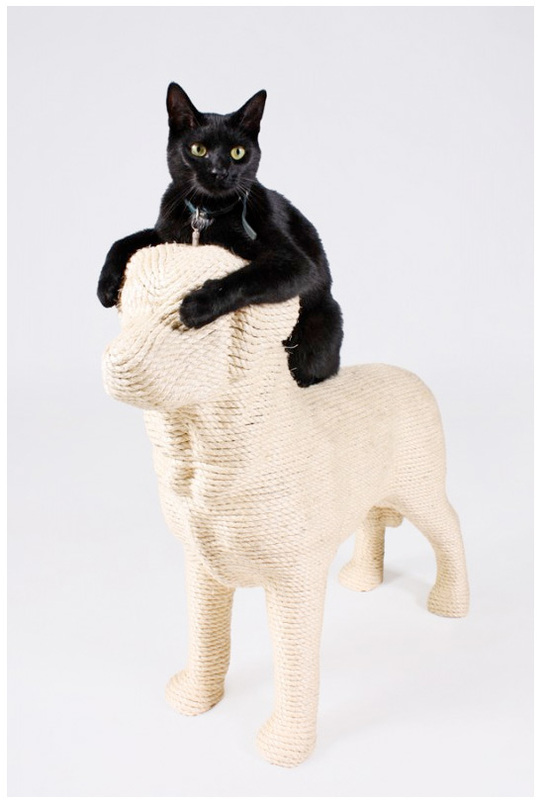 Designed by Erik Stehmann, a new-to-me designer in the Netherlands and found via Purrfect Design, a newly opened shop in Antwerp which appears to have some great stuff for the feline obsessed.